Welcome to Max Six Overpower! This is a fan made expansion to the Overpower card game! 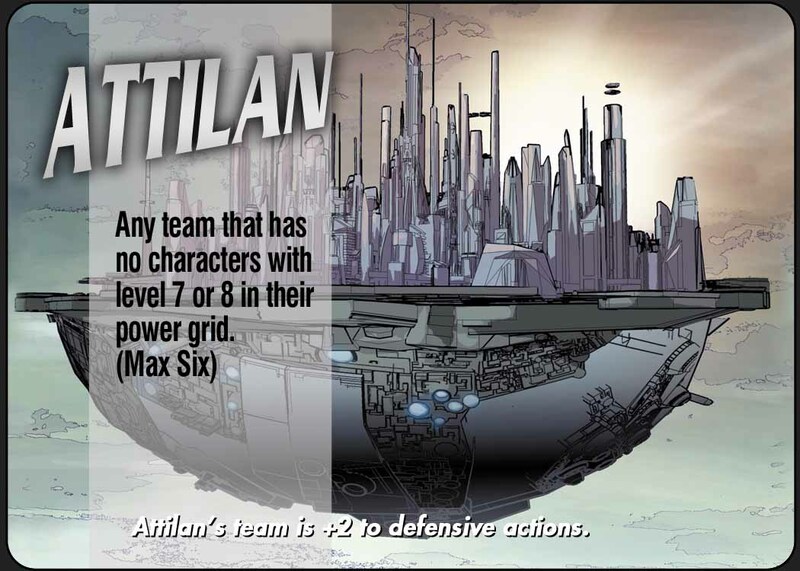 Almost 30% of all characters released in Overpower do not have a level 7 or 8 in their power grid, which we will call max six characters. This is unfortunate as teams with 7’s or 8’s perform much better and max six characters see almost no play! This expansion’s goal is to allow for teams with all max six characters to compete evenly against teams with high level stats. This is achieved with a theme of card advantage by applying the rules listed on this site and with new cards! This expansion has been play tested and balanced with these rules but feel free to play with the rules that are most fun for you! Also check out the Core Set of cards, which is just alternate art for many of the common cards used in overpower decks. There is also some great work being done at Overpower.ca. 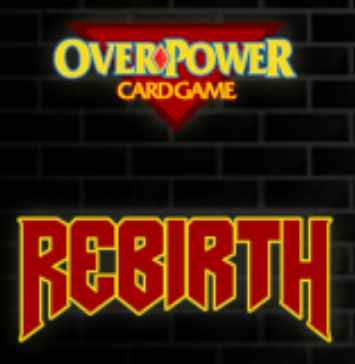 They run in person tournaments and are working on a new expansion to the game called Overpower Rebirth! The following rules have been used to balance the game and to allow you to get the most out of the Max Six expansion’s new cards. Many of these rules have been tried and tested by lots of Overpower players over the years and are used in other fan-made expansions such as New England Overpower (NEO), Overpower Third Edition (OP3) and Power Balance. These rules as well as many others can be found in the comprehensive Overpower rule book. Rule: Players may include level 0 (zero) Power cards in their deck. There are level 0 Energy, Fighting, Strength, and Intellect Power cards as well as a level 0 Multi-Power Power card. Level 0 Power cards count as duplicates of level 7 or 8 Power cards. Level 0 Power cards will also receive double bonuses from Universe cards. Also, the player may draw one card, discarding duplicates, after playing a level 0 Power card. Any card that references level 1 power cards will also reference level 0 power cards. This does not apply to references of a singular power card with power type listed, such as “Killer Croc may defend any attack with a level 1 intellect power card.”. Power cards are the foundation of an Overpower deck and teams that are lacking level 7 or 8’s in their power grid have a disadvantage. 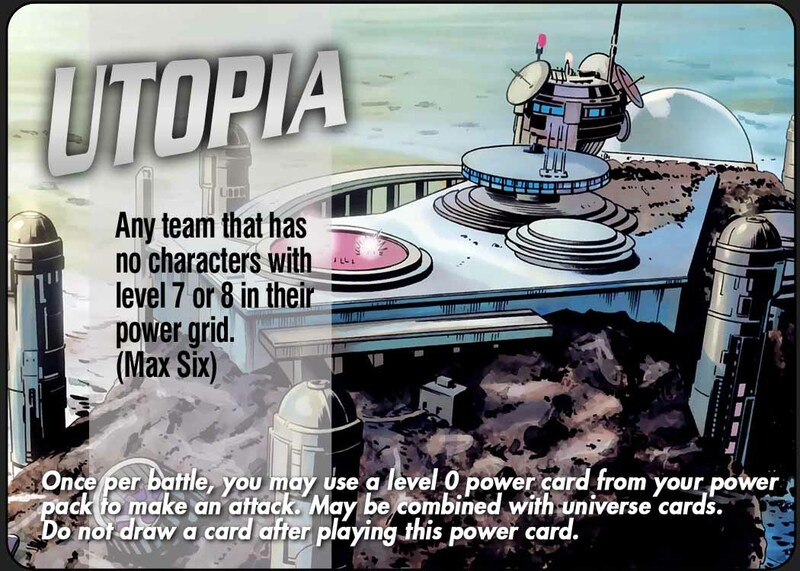 If a team without 7’s or 8’s in their power grid (max six) want to include the same number of power cards as a team with higher power grids they will have to include more of the same level power card, which increases their chance of having to discard one of them as a duplicate. Also, their power cards will be weaker as their numbers are lower. By allowing level 0 power cards, a team with lower power grids will not have as severe of a discard disadvantage compared to higher power grid teams. Also, by doubling the bonuses from universe cards, level 0 power cards will be able to defend much higher attacks and make much higher attacks. Combined with drawing a card discarding duplicates after playing a level 0 Power card, this will get them closer to matching the effectiveness of higher level power cards. Level 0 Power cards are shown below and be downloaded from The Cards page. Rule: Players may draw one card and discard duplicates after playing any Basic Universe or Universe Training cards. All Basic Universe and Universe Training cards are considered one per deck’s based off of both their requirements to use and bonuses. Basic universe and universe training cards are generally considered underpowered and almost never see play in highly competitive decks. The main reason for this is card advantage as a player must use these cards with a power card as a single attack or defence. If the opposing player only used one card to defend or attack, they now have a card advantage. There are occurrences where these universe cards allow the player to make a valuable defence or attack that is worth losing card advantage over but these situations are rare. By adding card draw to these universe cards, it renews the effectiveness of these cards. To mitigate players from flooding their deck and to give new life to the less powerful universe cards, each basic universe and universe training cards are considered one per deck. Also, Power cards have become less effective compared to the more powerful specials printed in the later overpower sets. The addition of this rule will balance this out. Rule: All subsequent attacks to Universe Teamwork and Universe Ally cards are now considered “Follow-Up Attacks”. Follow-up attacks must all be made simultaneously in the same Offensive Action phase with the original attack. After the attacks are declared, the defending player has a chance to choose which attacks to defend. All other cards that allow for another attack are considered additional attacks and happen after the defending player has decided to defend the first attacks or not. Rule: All Tactic: Doubleshot cards will now read “Must combine with level 0 to 5 Power card for either single attack/defense or separate attacks/defenses.” If multiple attacks are used, these attacks will be follow up attacks and must be declared simultaneously. Tactic: Doubleshot cards have a similar feel to Universe Training and basic Universe cards. They require two cards to use them but could easily be defended with one card. By allowing these attacks to be split up, Tactic: Doubleshot cards must be defended twice keeping card advantage even for both players. Rule: Special cards with the below codes will now also read, “You may draw one card, discard duplicates”. The special cards on this list are chosen specifically to make underpowered cards into mediocre cards and not turn mediocre cards into powerful cards. 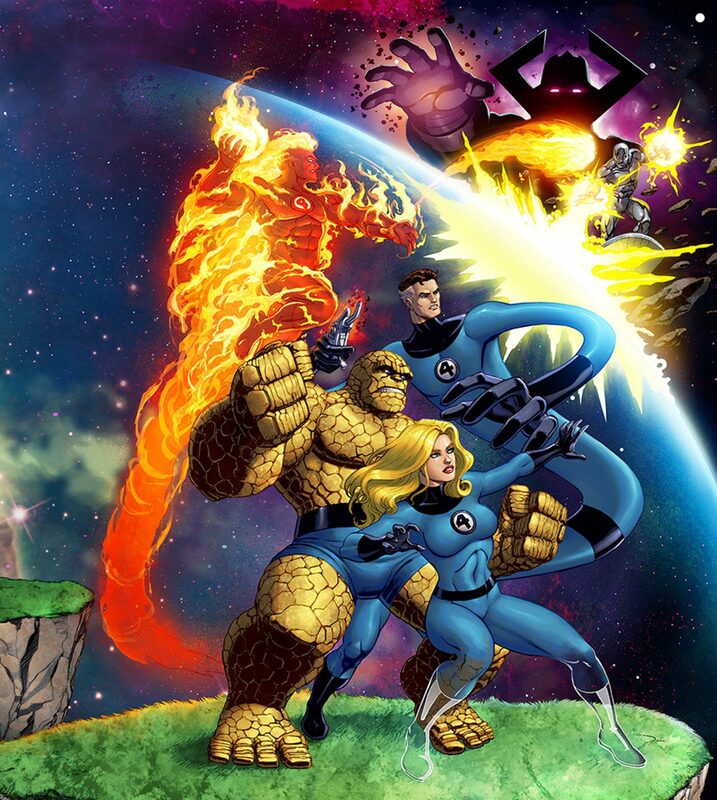 Many characters are not widely used as the specials of that character are considered underpowered. For instance, the special card “Add three to venture total” is vastly underpowered compared to a special that reads “Acts as a level 3 fighting attack”. Either the attack is not defended not only adding three to venture but also hitting the character or the attack is blocked by the opposing team forcing them to use a card. By adding card draw to these type of cards increases their chances of being included in competitive decks. Rule: Each character may only have one card placed on them at a time. A player may discard a placed card and replace it with one from their hand either during the placing phase of a battle or on their turn. Cards that effect the allowed card placements can be played as normal. A common strategy of overpower is to place as many cards as possible in the hopes of gaining and maintaining card advantage throughout the game. By capping the number of cards being placed, typical battles will start with each player having more of an equal card advantage without having more cards placed than they do in hand. This will also reduce the number of cards discarded because they are duplicates of currently placed cards. By allowing the player to remove a placed card when placing a new one mitigates the pressure to only place your best cards and gives the player more flexibility. As a side effect and not the intention of this rule, any cards that target placed cards will not be as effective as there will be less cards placed. Rule: Attacks against battlesites now count toward venture total but only half of the amount (rounded down). Battlesites can now be destroyed by the same rules that KO characters. Thus, they can be destroyed by spectrum, with hits of three or more power types, or cumulative, with hits totaling 20 or more points. Any card that indicates that a follow up or additional attack may/must be made against a different character may also now be made against a battlesite. Any card that references a teammate will also now reference a battlesite. 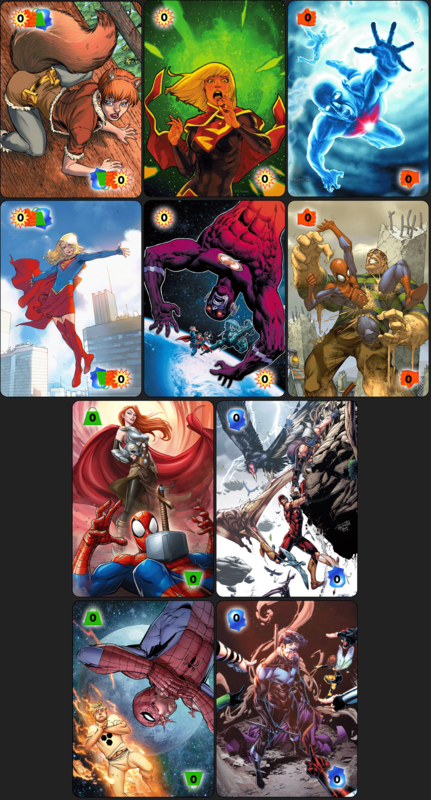 In order to include Any Hero/Character Specials cards in a deck, that deck must use Multiverse as a battlesite. Once this battlesite is destroyed, Any Hero/Character Specials may not be played and must be discarded as unusable cards. Any card that references activator cards will now also reference Any Hero/Character Special cards. 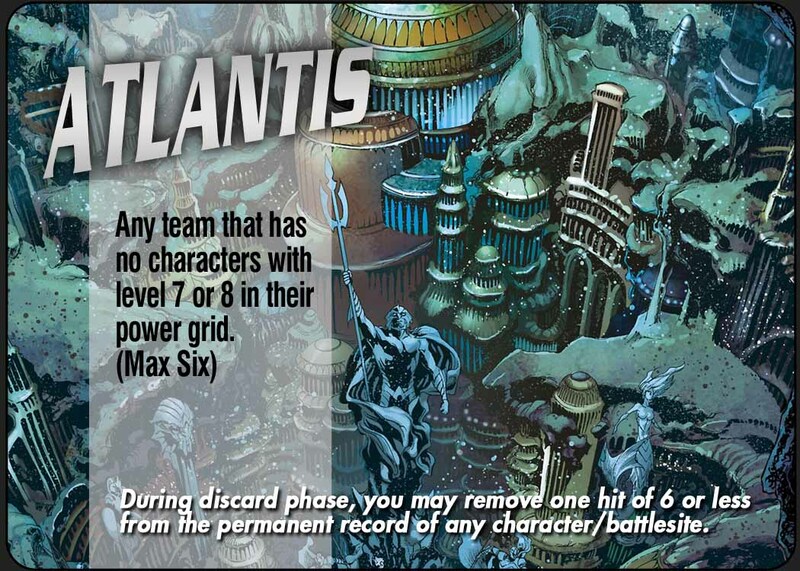 One Activator or Any Hero/Character card may be placed on a battlesite. Any Hero/Character Special card that specifically states that they may be placed are still allowed to be placed to other places. 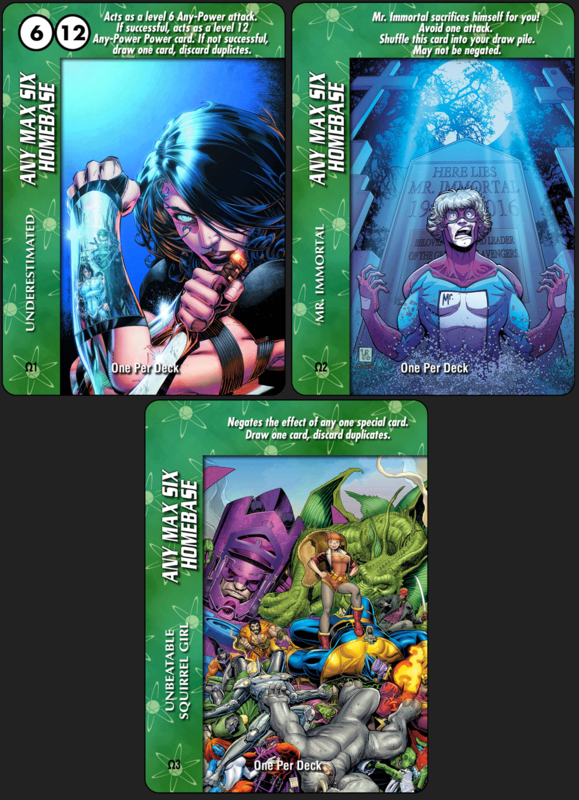 If these cards are placed on the Multiverse you may ignore their placement restriction. For example the ZZ Any Character “… If placed may only negate Any Hero/Character Specials” may still negate any special if placed on the Multiverse battlesite. 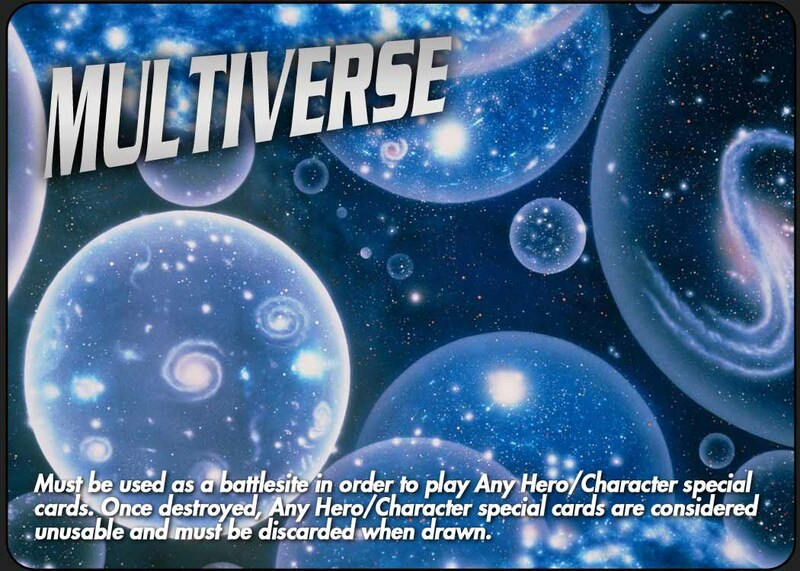 The Multiverse battlesite card is shown below and can be downloaded from The Cards section. Any Hero/Character cards are arguably more powerful than any battlesite. By making these specials tied to a battlesite, it helps level the playing field and allows for more diverse competitive decks that run battlesites. Destroying a battlesite is incredibly difficult as they could not be destroyed by spectrum and may only be destroyed by 30 cumulative points. Even if it was advantageous to destroy a battlesite, you could still lose the battle because the attacks did not count towards venture. With this new rule, attacking a battlesite can now be considered in viable strategies as they are now as easy to kill as characters and one half of the attack adds to your venture. Rules: Only characters that can play every power on a MultiPower Power card may play that MultiPower Power card. Also, level 5 MultiPower Power cards are no longer one per decks. You may either include Any-Power cards (Universe and Power) or MultiPower cards (Universe and Power) in your deck but not both. MultiPower Power cards can function as a specific Power Type (except Any-Power) card if required. (e.g. in situations like AE specials which state “May combine with 1 Intellect card for a single attack”.) Also, Any-Power cards are not considered one per decks either. Teams with high level power grids in one or two power types typically perform better than teams with power grid stats that are more spread out. High stat teams will typically have very low stats in their other power types. This will limit their ability to play higher level MultiPower Power cards. Also, these teams will typically want to use Any-Power Power cards which, if they do, will prohibit them from including MultiPower Power cards. This rule increase the relative performance of previously underperforming teams by taking away flexibility from high stat teams. Rule: The below list of cards cannot be included in a deck. Any Character – Devourer of Worlds. Before this card was printed, Any Hero/Character cards were arguably more powerful than battlesite cards. This addition tipped the balance too far and removing this card from play allows for decks with fun, creative, and powerful battlesites to be used competitively. This card has seen play in nearly every competitive deck and forces player to build decks around defending this card. This makes having a negates special or an avoid one attack special very important as it prevents you from having to concede a battle after losing up four of your cards. Removing this card allows for characters without avoids or negates to be included in decks more often. 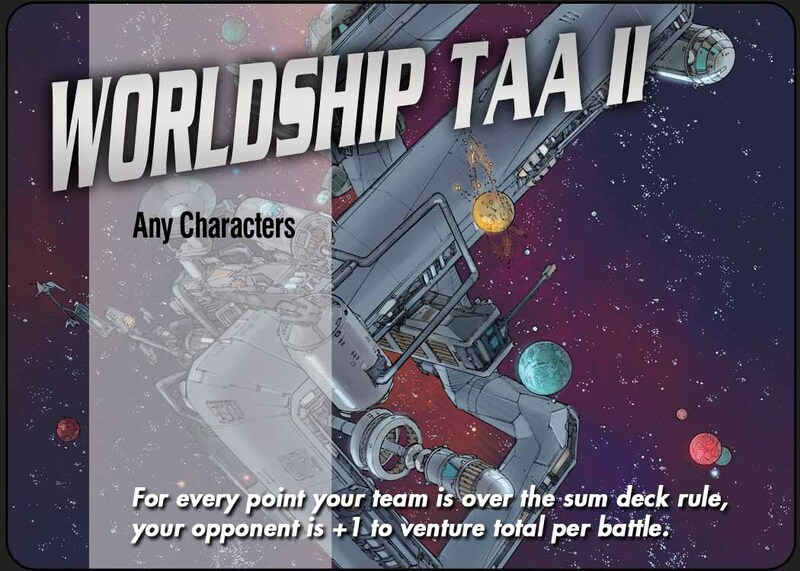 A deck may only have three characters. All of which start on the front line. Any character that is KO’d is not removed from the game but is instead moved to the reserve position. Multiple characters can be in the reserve position. Anything that would normally effect reserve characters effect these characters. Anything that would KO a character through other means than a cumulative or spectrum KO, removes that character for game purposes. The character is put into the defeated characters pile. Any cards that affect KO’d heroes affect these heroes. In addition to the normal options on your turn, you also have the choice of removing one hit from the permanent record of a reserve character. If the hit you removed from your reserve character makes that character no longer be KO’d, then that character immediately moves into the front line. If you choose to remove a hit, your opponent gains +5 to venture total. The game is over when a player has no characters in the front line, which will give victory to the opposing player, or by normal venture rules. The sum deck rule for deckbuilding now follows the below list. You may draw a card, discard duplicates on your turn but also will give your opponent +5 to their venture total. The battle is over when one player has at least 20 points of venture. That player then wins the venture. Having a KO’d character makes drawing their fun and powerful specials a disadvantage as you now must discard those cards. The ability to bring a character back into play, allowing you to use their specials is a more enjoyable way to play. This of course, is balanced by the tempo (using your turn) and venture disadvantage that comes along with removing a hit. Here are the new cards that have been put together for this expansion! A download link to all of these cards can be found at the bottom of this page. Below is a link to download all of these cards in high resolution. If you enjoy these cards, feel free to send a thank you email to MaxSixOverpower@gmail.com we would love to hear from you! If you like these, you should also check out the Core Set. In collaboration with the good people at Power Balance, who have put together a comprehensive rule book, we have added a section at the end that covers rule variants as well as a number of fan-made expansions. This is currently still a work in progress and will be posted here once it is done. In the meantime the current version of the rule book, without the rule variants, can be found at Power Balance.